EcoLogic has supported Cornell University’s Lake Source Cooling project team for more than two decades. In 2016, we enhanced public outreach related to this unique cooling facility by designing a series of posters to support tours of the Heat Exchange Facility. 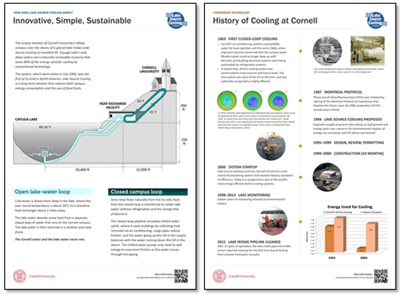 Learn more about the Cornell Lake Source Cooling project.